If you are a baptized practicing Catholic, you are most welcome to join our St. Francis by the Sea parish family. Please download and fill out the New Member Enrollment Form (see link below) so we can add you (and your family) to our parish membership rolls. Also, consider joining one of the many ministries or organizations that enliven our parish family. Just scroll across the menus at the top of the page for more information about our many ministries and activities. We look forward to praying and working with you in our parish family! If you are an adult who is not yet a baptized Christian, or if you have been baptized as a Christian but are not yet fully initiated into the Catholic Church, and you want to learn more about the Catholic faith and enter into full communion with the Church, then our “Rite of Christian Initiation for Adults” (RCIA) program is designed just for you. Through weekly meetings of inquiry, dialogue and instruction, you will be led through the process of initiation into the fullness of the Catholic faith. 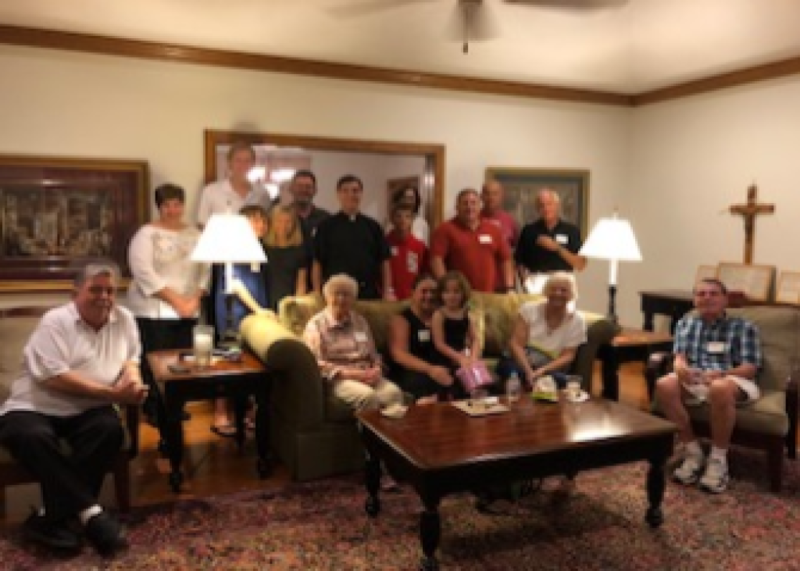 Father Mike and Father Jim hosted a new parishioner reception at the rectory on October 4th, 2018. Thank you to all who attended and to Christina Forbis who served as a hostess and photographer.